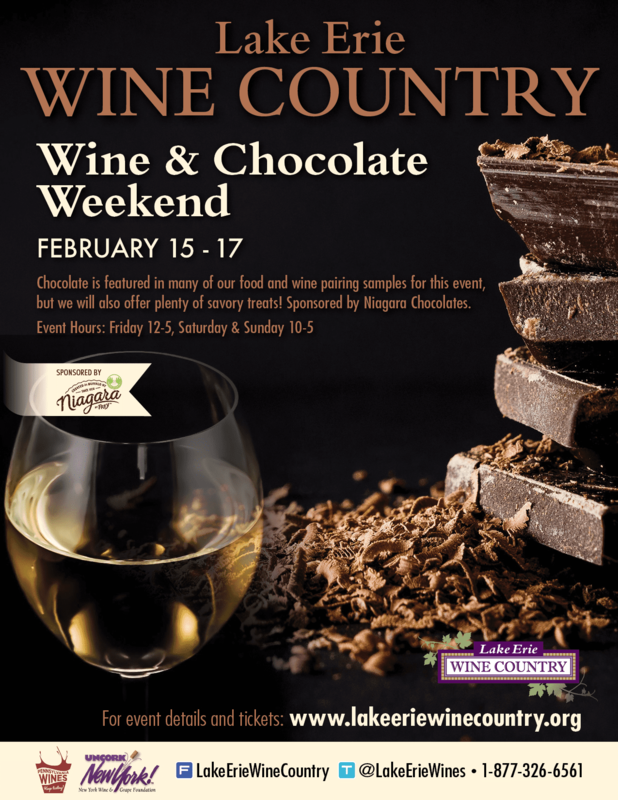 A wonderful way to celebrate Valentine’s (or Galentine’s!) Day Weekend! 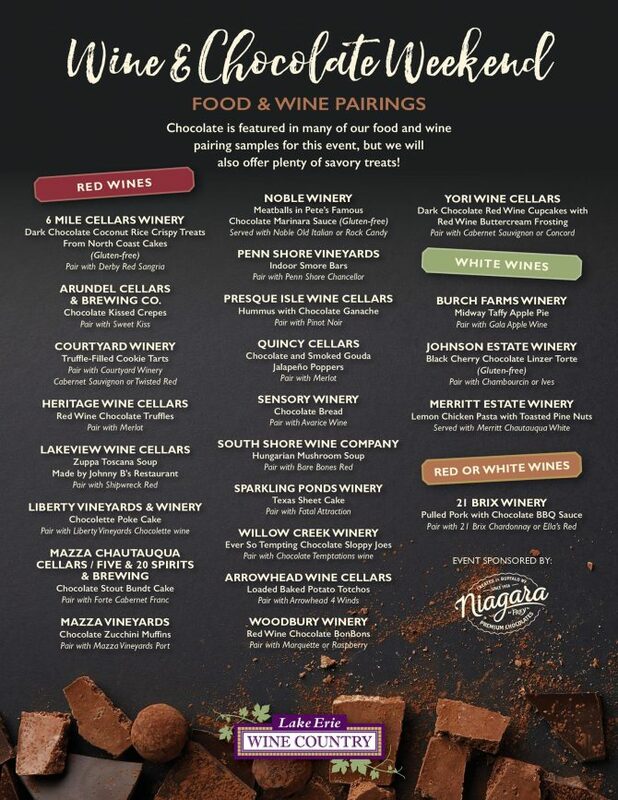 Visit the wineries in Lake Erie Wine Country to enjoy food and wine pairings featuring chocolate from Niagara Chocolates, along with some savory treats at the host wineries.